Pie, I love. Matcha, I love. So it was about time I brought these two together. 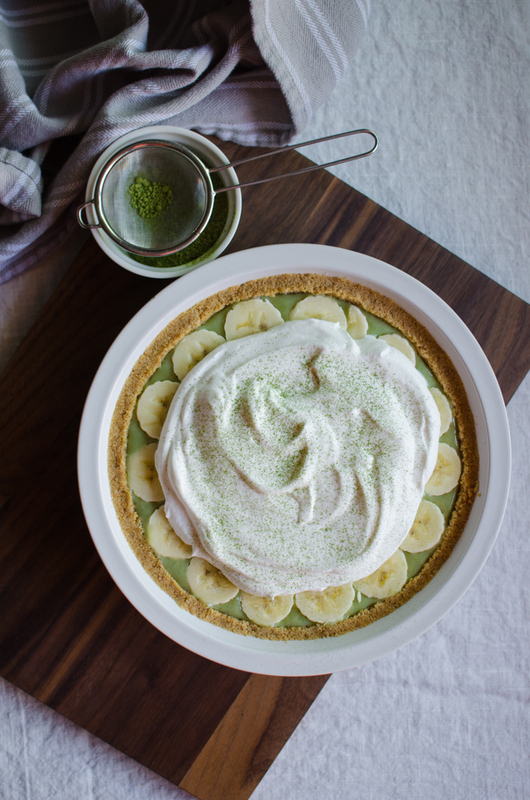 And because I had bananas that were ripening faster than the speed of light, I made matcha banana cream pie. Trial one was a delicious disaster because the filling never set. I went a little crazy with the matcha during trial two. But trial three was absolutely perfect. 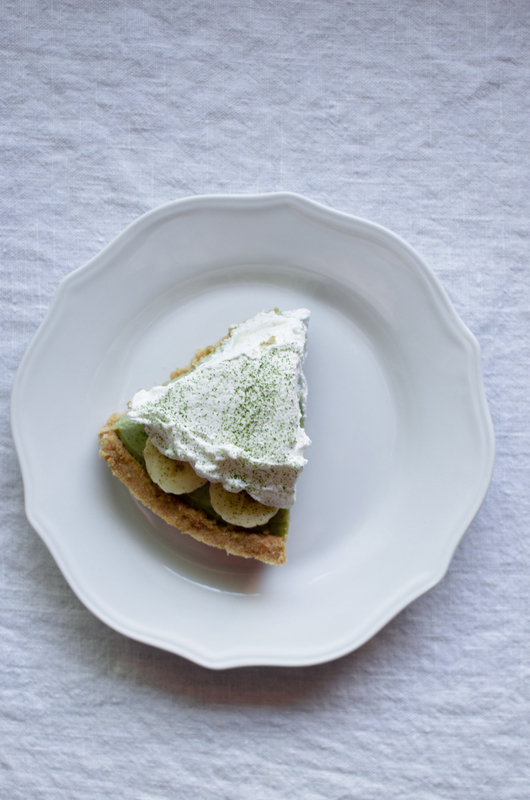 My favorite cream pies are supported by a graham cracker crust, and no cream pie is done until there’s a large mound of fresh whipped cream covering the filling. Aside from pie testing, my life recently has been all about work. I was told that things will simmer down soon, but I’m not convinced! We are going on a work camping trip soon, and I’m super excited about that as I have never been camping – I know, I did not have a proper childhood. Although I must have been a boy scout in another life because I already bought a tent and have been trying to put it together in the living room without Karl’s help. 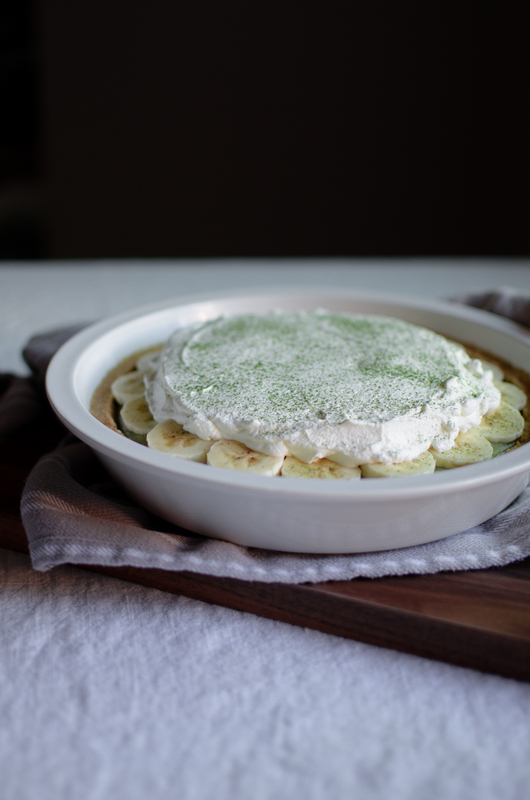 This entry was posted in Desserts & Sweets and tagged banana, graham crackers, green tea, matcha, pie, whipped cream. Yummy! 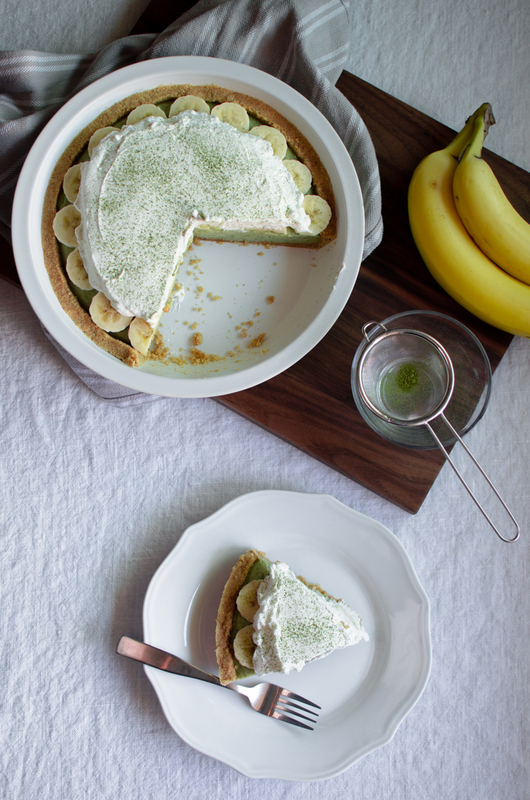 Matcha cream sounds delicious. 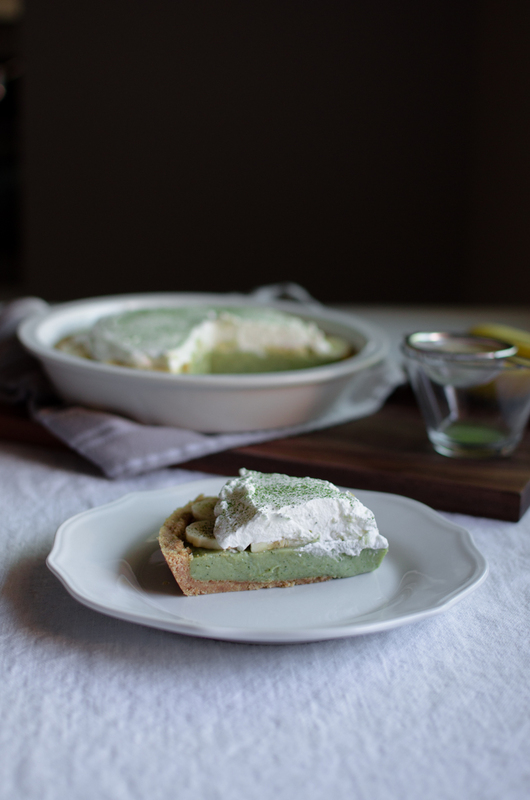 I also really enjoy matcha flavored things. The first time I had a matcha flavored dessert I was in high school, and I’ve never looked back 🙂 Enjoy your camping trip!